If you're a property manager or landlord, you know there is one thing in your field there's never a shortage of: data. Unfortunately, managing that data requires an asset there's simply never enough of: time. A wide variety of tools are available to help property managers-- who are overseeing rental units, tenants, maintenance requests, accounting, and more-- manage these processes more efficiently. 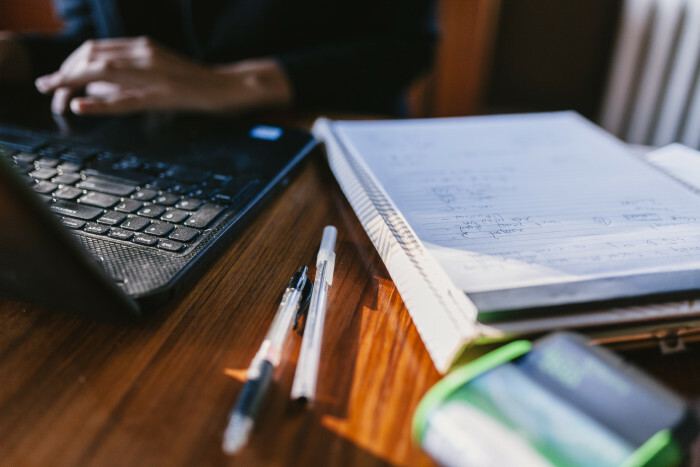 From software that tackles internal procedures to blogs by thought leaders in the field, these resources can offer innovative ideas and help free up valuable time. We've compiled a list of 9 property management apps and resources you can use to simplify your life as a property manager. Check them out below! A huge part of being a property manager requires collecting information from tenants. Whether you want to know about customer satisfaction or what time of day is best to remodel the apartment pool, Google Forms is a great tool for conducting surveys and collecting data. 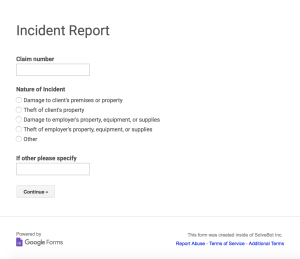 Bonus: with AppSheet's add-on for Google Forms, you can keep all survey data conveniently in one back-end spreadsheet, eliminating the need for manual survey review. Double bonus: with the add-on, office-based personnel can see survey responses in real-time, giving them the unique ability to make informed decisions about the property on-the-fly. Rich Blocks Poor Blocks visually maps income and rent data in nearly every state, county, zip code, and census tract in the United States. Users can input almost any address in the country into RBPB and receive up-to-date information on the median income in that area. 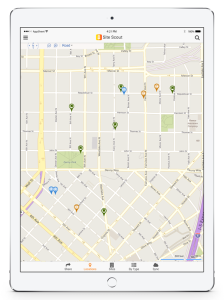 This software can help property managers keep track of the income levels of neighborhoods around their properties and ensure they are offering reasonable and competitive rates for the surrounding area. When moving to a new area, many families typically make their housing decisions based on the quality of schools in the corresponding district. 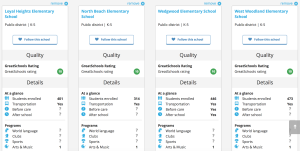 GreatSchools offers the ability to search addresses and zip codes and view that area's surrounding schools based on their overall rating and type. Property managers can use GreatSchools as a tool to attract clientele looking for good schools with research-backed data. Office 365 is a great resource for property managers. Keeping data safe and in sync with the cloud is of paramount importance for managing units, tenants, repairs, and accounting. 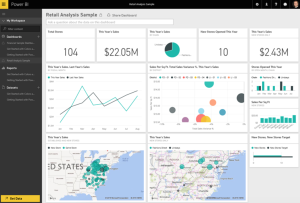 Office 365's suite of apps-- including Excel, Word, PowerPoint, and more-- allow property managers to share information from wherever they are, collaborate with colleagues, conduct online meetings, and keep data centrally stored. PropertyManager.com is your one-stop shop for all things property management. It regularly features news, articles, blog posts, software reviews, and other useful information about the current state of the industry. Head over to the site to read a recent article on six keys to successful property management. 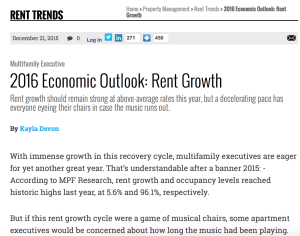 Multifamily Executive is a great resource for housing market updates and industry demographic news. 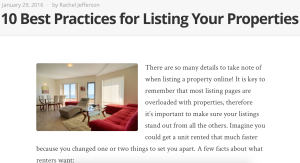 The site also features a wide variety of marketing tips as well as tips on what NOT to do as a property manager. Their thought-provoking articles can help property managers make decisions based on research-qualified trends, predictions, and reports. AppFolio is one of the industry's most trusted property management software tools, so you can bet their blog is full of informational and useful content. For everything from SEO to mobile marketing, AppFolio's blog will have something for even the most seasoned property manager. This one seems fairly obvious, but it bears repeating. Managing apartment buildings, condos, or any other property requires lots of data collection and a close attention to detail. It involves conducting inspections, noting repair needs, taking pictures, etc-- time-consuming jobs that happen outside of the office. Property managers can't afford to cart around pens and paper, the responsibility of keeping track of it all, and then having to transcribe later. Mobile devices can accomplish these tasks efficiently, keep data in sync, and also help eliminate human error. It's imperative for property managers to keep tabs on reviews and opinions of the buildings they manage. ApartmentRatings.com is tremendously popular among apartment hunters looking to find out more information about prospective buildings and units. The site publishes user reviews about apartment buildings, staff, maintenance, and other feedback potential renters can use to make their decisions.